Any time anything is posted into Social Feed, News Feed or Crowd Pics type pages in an app, a user could get a notification. How frequently they get notifications and from whom depends on the default notification setting set by the app’s creator. 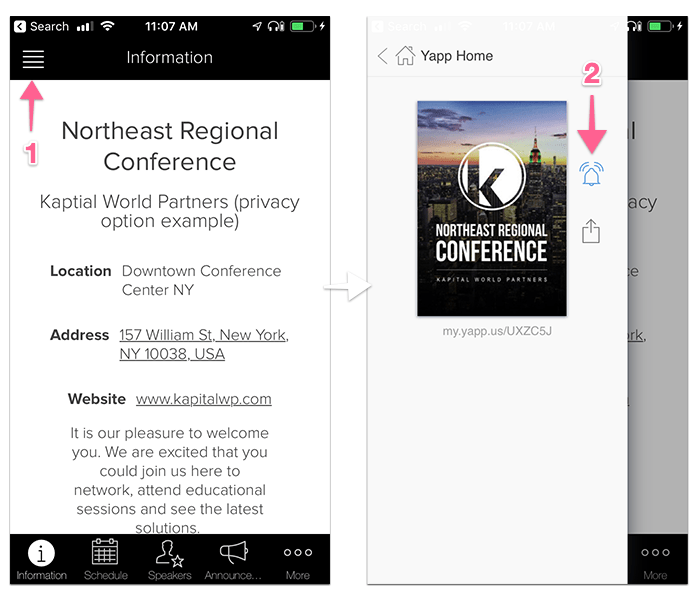 If a user would like to change those settings to receive fewer or more notifications, she can do that in the Yapp app. Creator’s Notifications: this only alerts you when an app admin broadcasts a post that is posted in the News Feed. 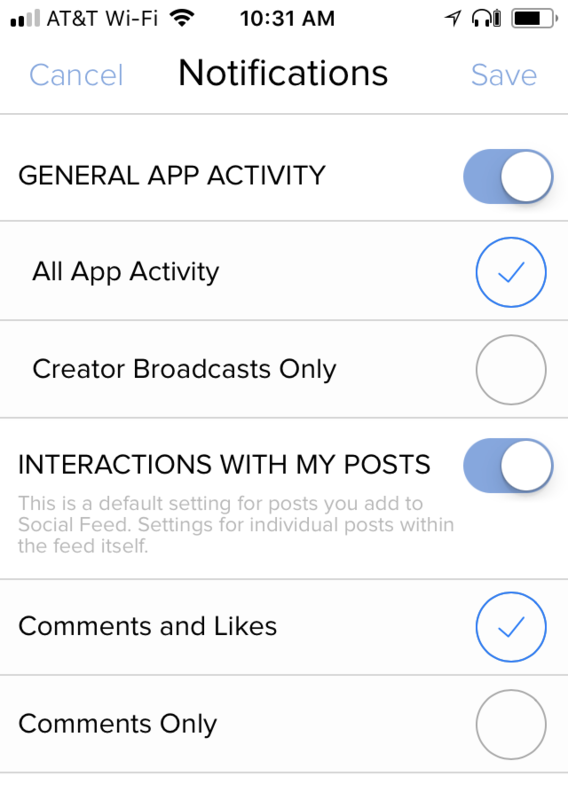 If General App Activity is disabled, you will not receive any notification when someone posts into Social Feed, News Feed or Crowd Pics, or when a creator broadcasts a post. The other section Interactions with My Posts, controls the default settings posts that you create on a Social Feed page. You can choose between being notified about Comments and Likes, and Comments Only. Alternately you can disable Interactions with My Posts and not receive any notifications by default. Each post screen on the social feed offers the ability for you to control the notification settings for that specific post, and doing so on one of your own posts takes precedence of this default setting. After modifying settings on this screen, you will need to press Save on the top right to save your notification settings. Please note, you will need to have accepted notifications from Yapp from your OS (iOS or Android) to receive any notifications from any of your apps in Yapp.